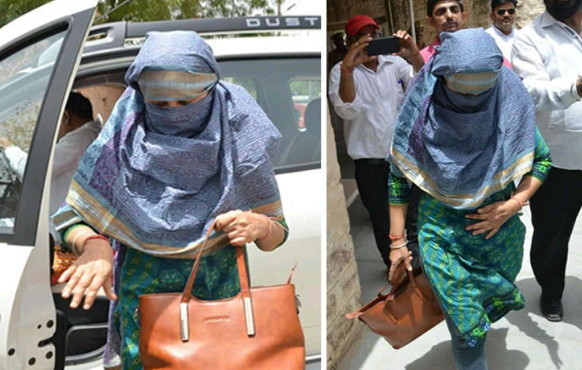 Jodhpur: Suspended IAS officer Nirmala Meena was today sent to judicial custody by a court here, a senior Rajasthan Anti-Corruption Bureau (ACB) official said. She was produced in the court today after completion of her police remand, DIG (ACB) Ajaypal Lamba said. Nirmala Meena had surrendered before the bureau on Wednesday after the Supreme Court rejected her anticipatory bail plea on May 10. The then District Supply Officer (DSO) of Jodhpur, Meena had been suspended after the ACB had registered a case of alleged irregularities in distribution of wheat. She was wanted for alleged irregularities in the distribution of 35,000 quintal wheat meant for below poverty line (BPL) families. Meena had allegedly sold the wheat to private flour mills as the DSO, Jodhpur, in March 2016. It was a scam of nearly Rs 8 crore, according to the bureau. "Though, largely she remained non-cooperative in the interrogation, but whatever, she said was adequate to support our case against her," Lamba said. On the basis of her interrogation, the then deputy commissioner (food and supplies) Mukesh Meena, was also interrogated for two days, he said. "But no incriminating evidence has surfaced against him, Lamba said, adding that he would be interrogated further in connection to the case. He, however, admitted to have received a demand of additional 35,000 quintals of wheat from Jodhpur, the officer said. The bureau has arrested three people, including Nirmala Meena, in this case and the fourth accused, an official of the department, Ashok Paliwal, is at large. Besides, Nirmala Meena, the two other persons arrested by the bureau , are a contractor Suresh Upadhyay and owner of a flour mill, Swaroop Singh, who allegedly had connived with her in siphoning off 35,000 quintals.